You can migrate 2G/3G services, which are based on SS7 using GSM/ANSI41 MAP, CAP or WIN, and migrate them to the 4G network using the DRE. 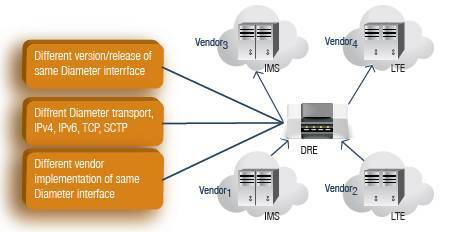 The applications can be hosted on or external to the DRE and can be Diameter-based or SS7-based. The DRE supports different variants of Diameter/SS7. You can maintain your existing CAPEX by utilizing this feature on the DRE and save additional CAPEX by hosting applications on the DRE platform. Diameter interfaces across operator boundaries need security and topology hiding from the internal deployment of Diameter servers. 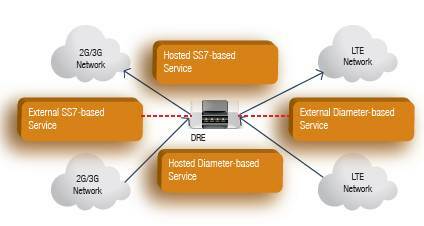 The DRE functioning as a Diameter Edge Agent (DEA) provides security at multiple levels including TLS, IPsec, firewall and access control lists. 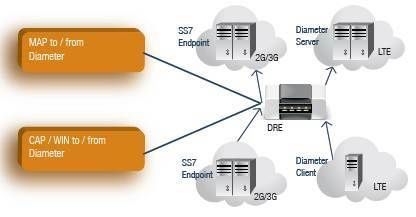 It acts as the entry point to the home LTE network and supports all Diameter interfaces from the visitor LTE network. Security is provided across non-trusted domains and the visitor network does not need to be aware of the topology of the home network. 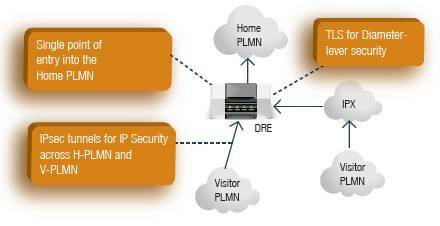 Home networks can scale and be re-configured without affecting the visitor network configuration. The DRE provides a flexible Diameter transformation capability to accommodate non-standard Diameter releases and custom variants. Diameter interfaces may be dynamically customized using script or plug-ins. The DRE acting as a Diameter Translation Agent (TLA) allows AVP’s to be added, deleted, modified, regrouped or reordered and the transformation may be performed on a per peer-peer basis. 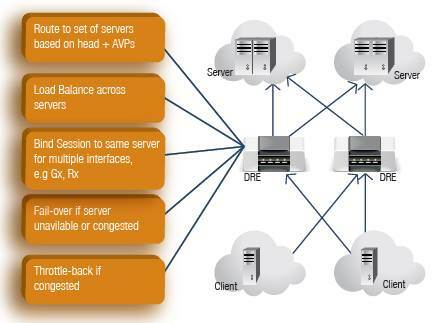 Operators can control the integration of 3rd party Diameter clients and servers especially for roaming where there is no control over the vendors. 4G networks need to interoperate with 3G networks, but not all operators will migrate to 4G at the same time resulting in a hybrid of 3G and 4G network elements. The DRE serving as a Diameter Interworking Function (IWF) provides an interworking capability for Diameter and SS7 that may be dynamically customized using script or plug-ins. The supports MAP to/from Diameter (e.g., S6a, S6d, S13, S13’ to GSM MAP and ANSI41 MAP) and CAP/WIN to/from Diameter (e.g., Gy, Ro to CAP and IS-826 WIN. The DRE maintains existing CAPEX in 2G/3G elements and utilizes them in the 4G network, while enabling roaming with operators that have not yet transitioned to 4G.